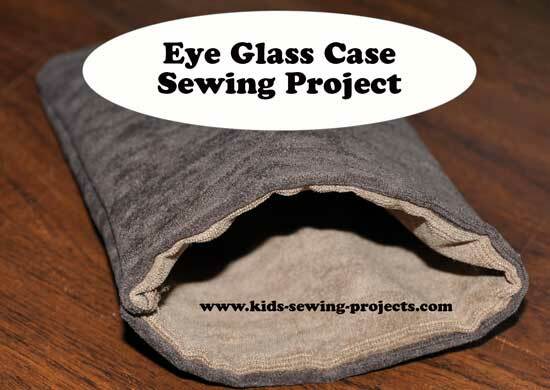 This tutorial shares two different ways to sew a case or bag for your glasses. 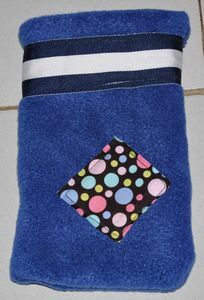 It can be used for sunglasses, eyeglasses or sewn as a gift for someone who needs a safe place to keep their glasses. 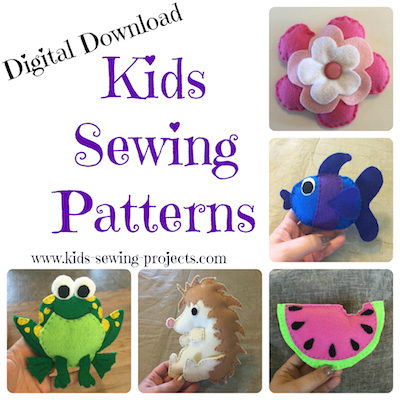 For this project you will need 2 -8x10 inch pieces of fabric. One for the outside and one for the inside lining. If you choose they can be two different fabric pieces. Cut a piece of stiff interfacing 8x10 inches. Turn one side of your fabric so the right sides are together. Sew along top edge enclosing interfacing and two layers of fabric. 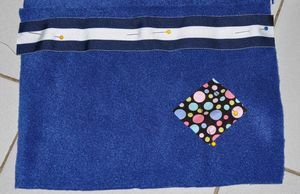 Turn fabric over so you have right sides showing on each side. 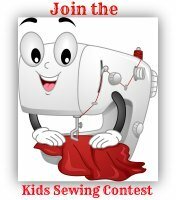 Your lining fabric should be showing on the top and outside fabric in the inside. 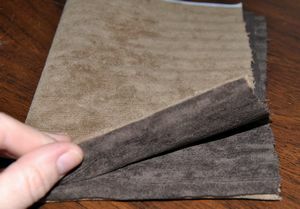 If you'd like a velcro closing, pin contrasting pieces of velcro on each side of the inside top lining. 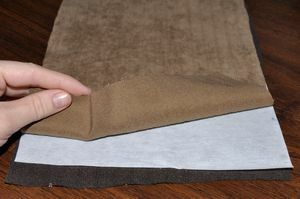 Lay fabric flat and sew along 4 edges of the velcro. Sew bottom and side edge closed. Turn right sides out. This is the simpler of the two eyeglass projects. Cut a piece of 8x10 inch fleece. Lay out flat and decorate how you would like. 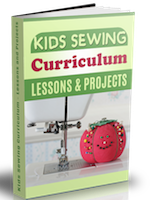 Sew on buttons, embellishments, ribbon or ric a rac, if desired. 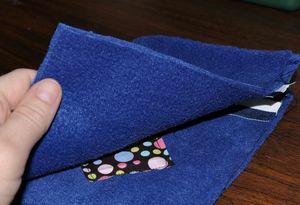 If you'd like a Velcro closing, Pin contrasting pieces of Velcro on each side of the inside top lining. Pin in place and sew along 4 edges of the Velcro. 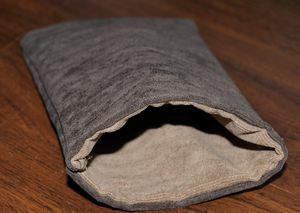 Fold fleece in half, putting right sides together. 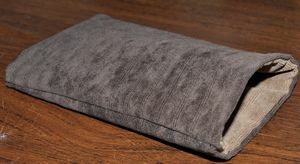 Sew fleece along bottom and side edges. Turn right side out and keep your sunglasses or eyeglasses inside.